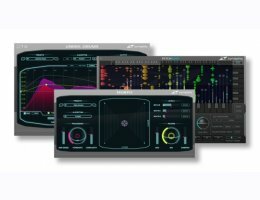 The REMIX Bundle combines three unique and powerful processors into one jaw-dropping suite. Change the harmonies and melodies within instrument recordings, samples, loops, or even mixed music, and suppress individual notes in a mix while perfecting the tuning of the rest – in real-time, at maximum quality, and optionally under control of a MIDI keyboard with PITCHMAP. Create unheard musical elements by morphing between two instruments or rhythms, and create smooth morphing transitions with MORPH 2. Boost or cut the drums in a mix or sample frequency dependently, or add potentially illegal amounts of punch to your drum stems with UNMIX::DRUMS. The REMIX Bundle is an essential toolkit for music producers, remixers, DJs and film composers alike.